Be smart. Take part. Prepare. And join America’s movement to stay safe during disasters. 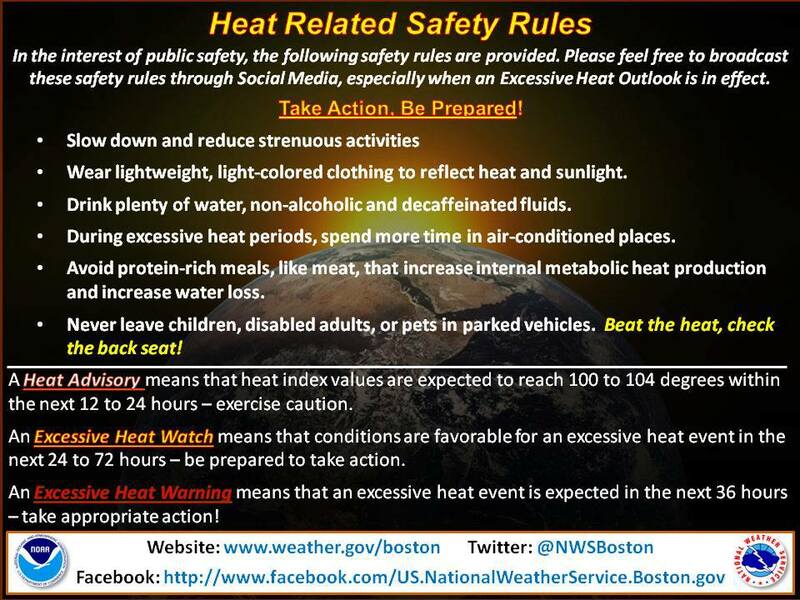 A Heat Advisory is in effect today from 11am to 8pm. Stay cool and stay safe this holiday weekend. Please check out these tips and safety rules from the National Weather Service to keep your family and guests from getting heat related illnesses. And, don’t forget to check on your elderly neighbors or anyone who may at risk for heat related illnesses. Heat Stroke is an emergency – call 911. 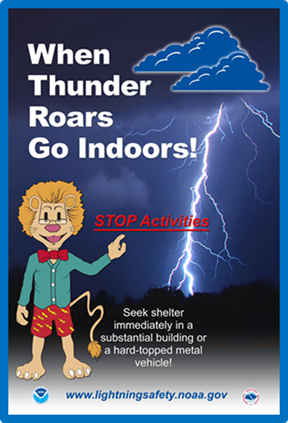 Read more on how to stay safe during a thunderstorm. Remember, if you can hear thunder, you are close enough to be struck by lightning. Got Wireless Emergency Alerts? Depending on your phone, you might! Read more: WEA. Please visit Ready Dot Gov for information on how you can be prepared for any severe weather threat! Ready Dot Gov: Click Here. Day 6! Get A Plan! Get A Plan and be #readyfoxboro! Ready dot Gov.